Can’t remember McDonald’s delivery number? Maybe this can help. On March 18, 2013, Monday at 5-9AM, McDonald’s stores across the world gave away over 5,000,000 McMuffins to its loyal patrons in celebration of National Breakfast Day! 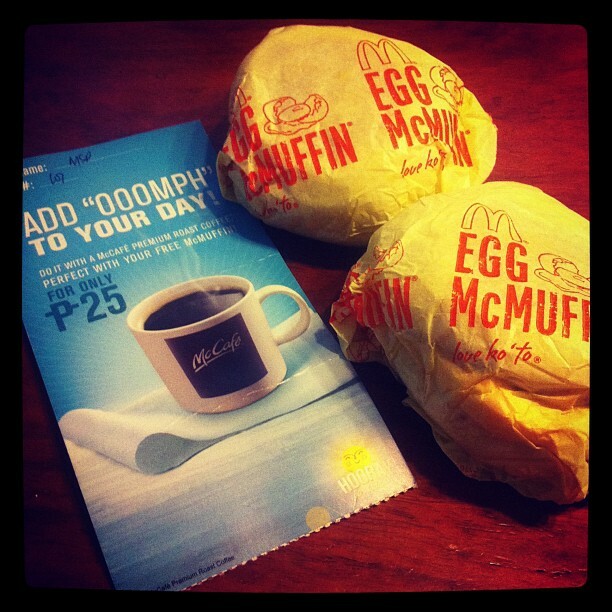 In the Philippines, 300 McDonald’s breakfast stores gave out 300,000 McMuffins to the first 1,000 costumers per store. 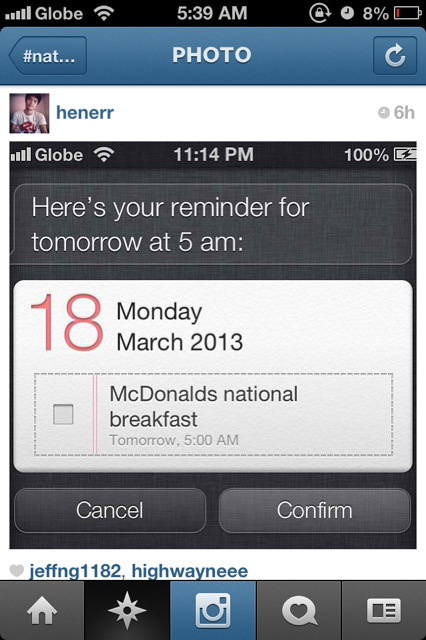 National Breakfast Day is a McDonald’s global initiative that aims to instill the importance of breakfast in everyone. We were tasked to create buzz and excitment through various media touch points – TV, Print, Radio,and Digital. 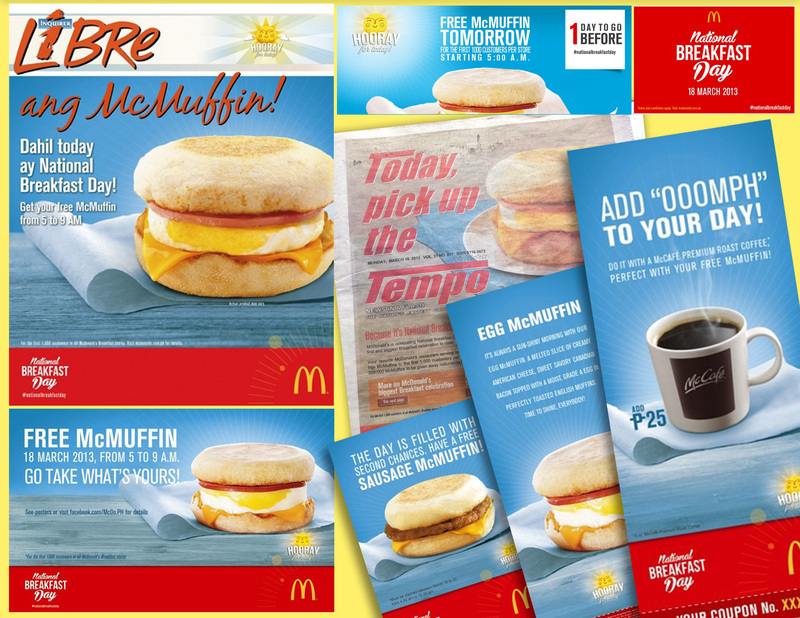 National Breakfast Day materials – False Covers, Billboard, Posters, Coupons etc. The results were overwhelming! I heard news about people lining up as early as 4am! Some stores gave their 1,000th McMuffin at 6am! 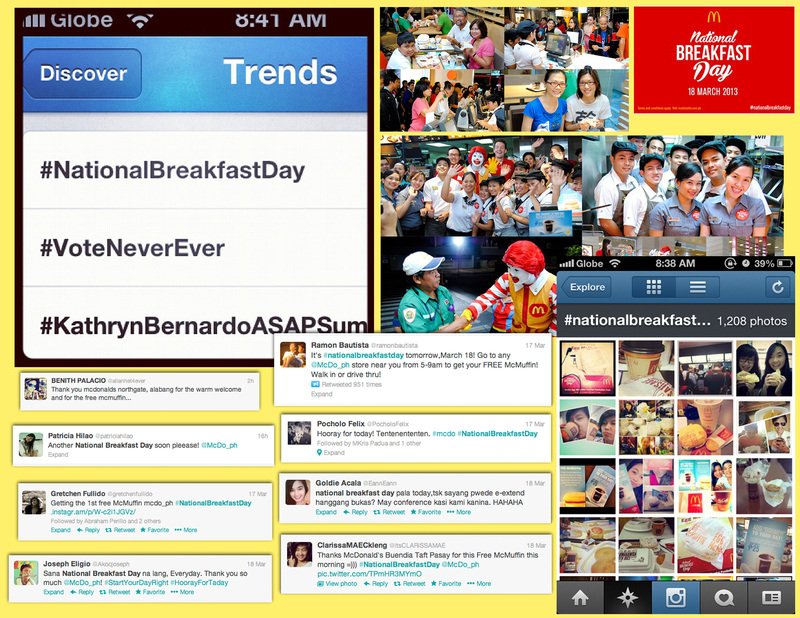 #nationalbreakfastday became the #1 trending topic on social media sites. And most of all, thousands of Filipinos who were made happy and ready to face the day with a smile. This truly was a Hooray for Today! moment. National Breakfast Day was a hit! I’m just glad to have been part of this relevant advocacy. My share of free McMuffins c/o of my ever supportive parents! Until the next National Breakfast Day!